Now you can give yourself and others accurate, loving, and helpful readings about health and healing. Each oracle card, by Doreen Virtue, features a gorgeous painting of Archangel Raphael. 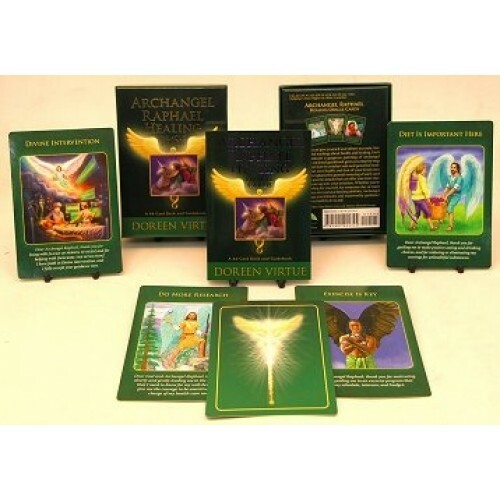 Archangel Raphael is the angel most associated with healing, known throughout the world for his miraculous powers and ability to help those in need. Whether you wish to protect and heal yourself, your family, your clients or your friends, Raphael will always be close.